Every Friday and Saturday, the Crazy Cow Comedy Club a the BYOB Comedy Club that presents the best comedians from all over the East Coast. Located in Manayunk, atop of the Crazy Cow Cafe. 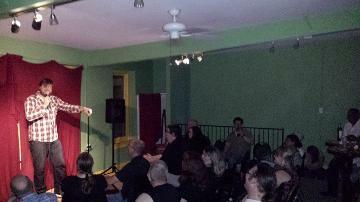 We're bringing stellar lineups of stand up comedians from the local Philadelphia areas, New York, Boston and many more.